What is the NDIS & what does it mean for my child? The NDIS provides children with disability with support they need to live a full & independent life. The National Disability Insurance Scheme (NDIS) is rolling out until 2019. Information to help you understand and prepare for your child's NDIS planning meeting. What to do to implement your child's NDIS plan so they start receiving supports. 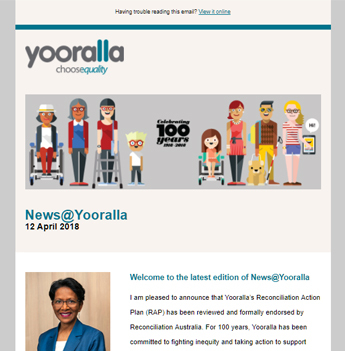 How can Yooralla support my child and me? Yooralla can support your child with a wide range of tailored, flexible and quality supports. Read answers to frequently asked questions about the NDIS for children.